Only real charcoal grill ovens delivers the unmistakable aroma from charcoal grilled dishes. Being able to offer your guests a consistent quality in charcoal grill flavor, texture, serving speed and capacity while burning less fuel may sound like it is too good to be true, unless it’s a Kopa BBQ grill oven. Here’s why. Firstly, when the isolation for heat retention is carefully designed in an oven, the temperature will stay constant. A big part of the design is the material choice and mass of the charcoal grill oven, more mass means more heat retention and an evenly spread temperature. With a starting weight of 250KG, a Kopa charcoal bbq with oven is plentiful in mass. Secondly, the flow of fresh air that is needed to keep the charcoal glowing in the oven is crucial for temperature and grilling time. With minimal airflow at a high temperature within the charcoal grill oven, the food will be prepared quick while retaining their own juices. The best barbecue grill ovens cook a dish fast, while tender and full of flavor. Kopa is an excellent choice for an outdoor bbq grill oven, for those who need to prepare substantial amounts of food at excellent quality. Ever thought of combining the best of both outdoor grilling on charcoal with an indoor oven? Well, it’s time to meet Kopa. Within only three years we became market leader for charcoal grill ovens for professional use in most of Europe. Building the best charcoal grill ovens known, we are proud to deliver ovens that require close to zero installation costs, which are fuel efficient and cook the most delicious dishes of any kind. 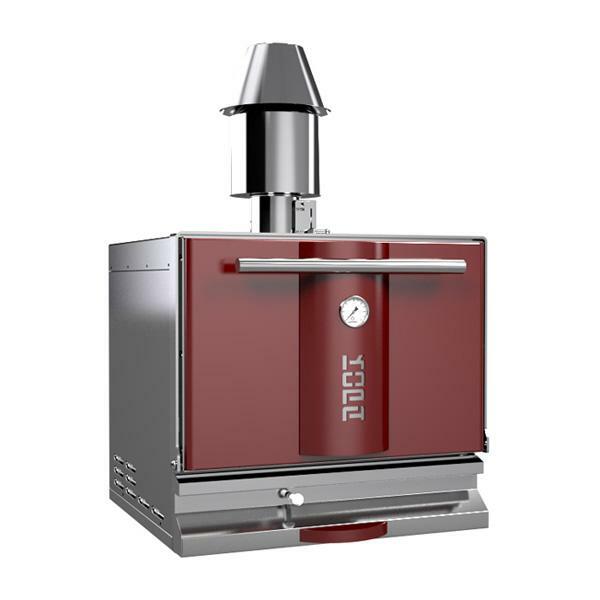 An outdoor barbecue grill oven that can bake pizza’s, meat, fish vegetables, pies and deserts; this versatile range of charcoal grill ovens is a sure winner. In addition, the charcoal bbq grill with oven comes in four different finishes to match any kitchen.